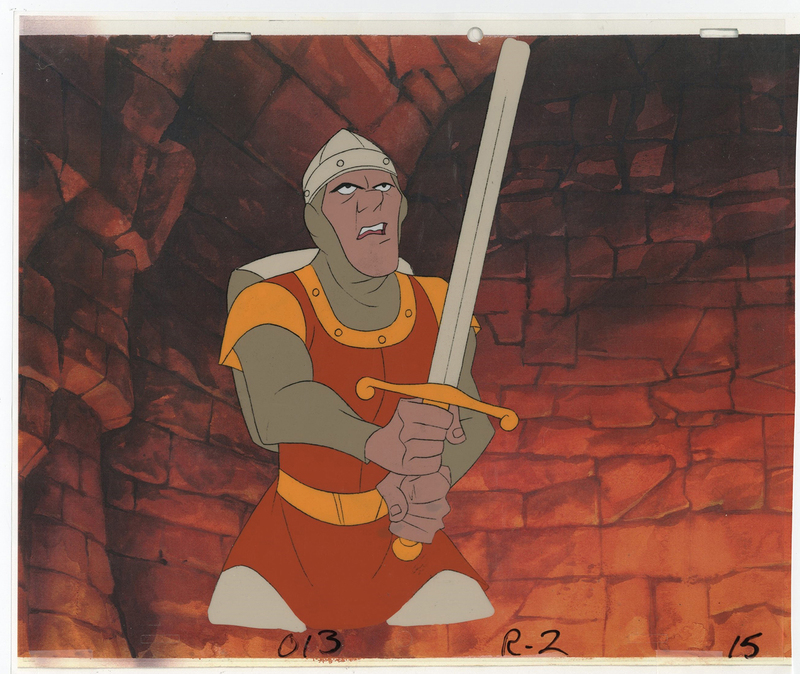 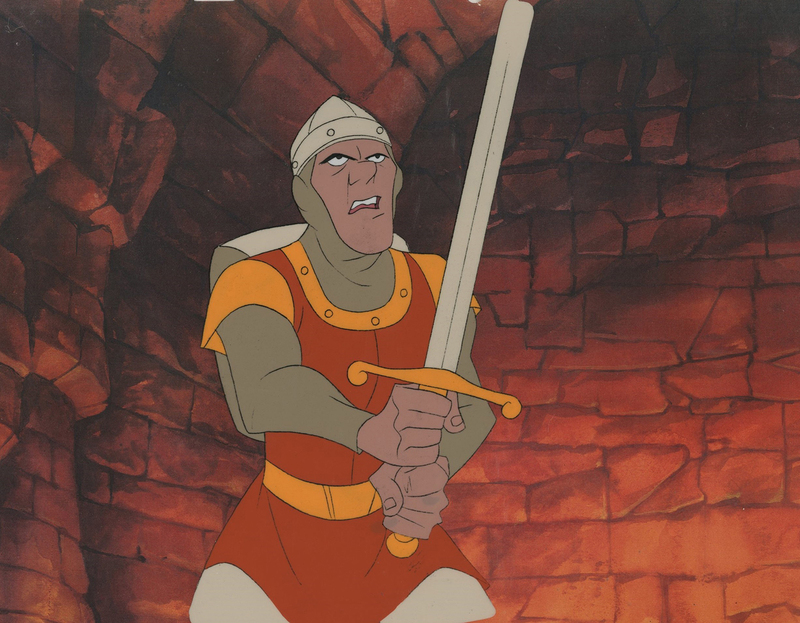 This is an original Model Cel from the Don Bluth Studios production Dragon's Lair (1983). 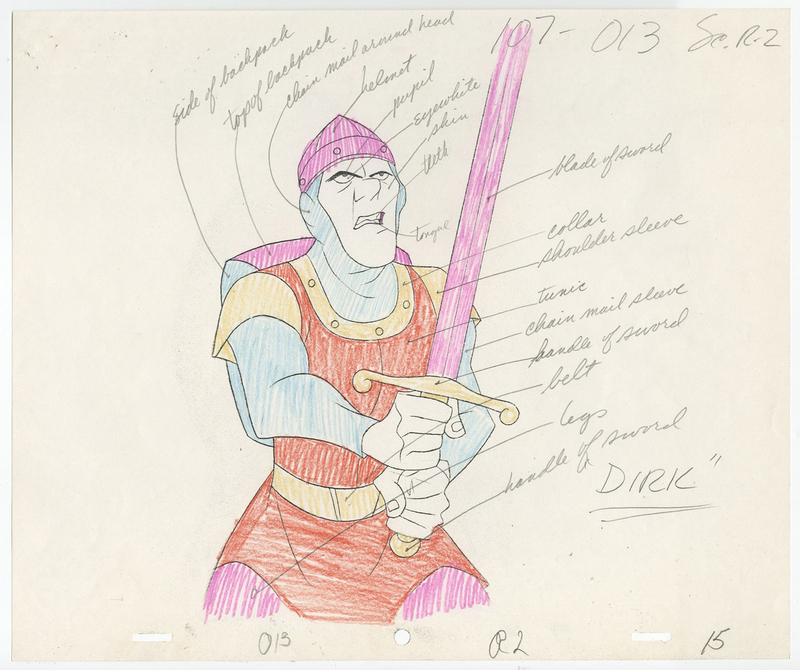 This Model Cel features Dirk and was created at the studio and used during the production of the film. 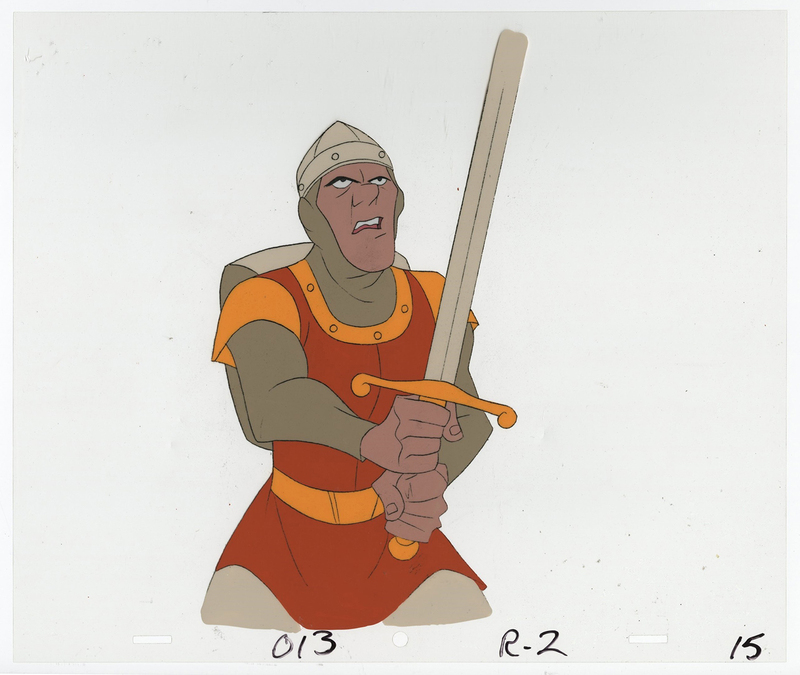 The overall measurements of the piece are 10.5" x12.5" and the image itself measures 9.5" x 5".This cel is paired with a color copy background.